Melo'Men is an amateur men's vocal choir, consisting of approximately fifty singers, gay and gay-friendly. 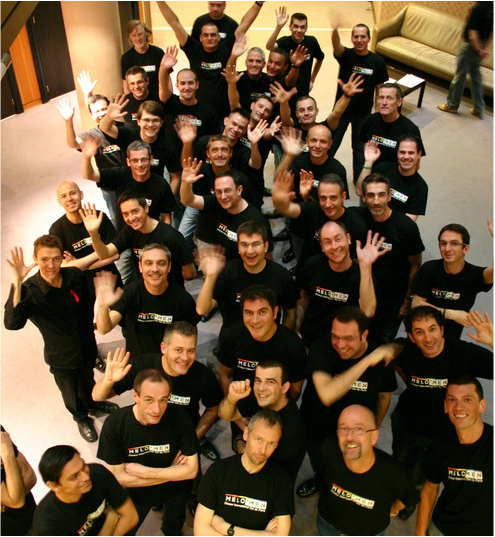 Established in 1994 as the Paris International Gay Choir, it changed its name to Melo'Men in 1996. The repertoire focuses on classical music, however the choir is extremely versatile and contemporary music or variety both play a significant part in the choir's concerts. Each season, the choir has achieved great public recognition and appreciation due to the quality of its artistic execution, and the choir frequently performs in locations across France and abroad. Faithful to its core values of community engagement, Melo'Men often participates in commemoration and remembrance services, festivals, and also supports other charities and associations. We have people from many different nationalities in the choir so even if you do not speak French fluently, feel free to contact us for more information on singing with us.